There are many iconic and influential structures in Britain; Stonehenge, Big Ben, the Severn Bridge. But these are just the well-known ones – there are also plenty we’ve never heard of that have had a profound effect on the UK as a whole. And there are bound to be some awesome structures you’ve probably never heard of, or studied, but that have changed your life in ways you never imagined. The UK has some pretty amazing places, and we’re going to look at one in particular. Resting on the banks of the River Severn is the county of Shropshire, and within this lies the historic town of Ironbridge. It might not be very well-known, but it’s an old Victorian settlement with a history that helped to change the world. This is the history of this stunning town, and the way it went about shaping the world. Heading into the Shropshire countryside takes you on a journey teeming with supreme natural beauty. Head out from Ludlow, across the rolling hills and lush green countryside of England, until you arrive at the fabled Ironbridge Gorge. This deep gorge straddling the River Severn contains huge deposits of coal, limestone, and iron ore, and played a big role in the Industrial Revolution. 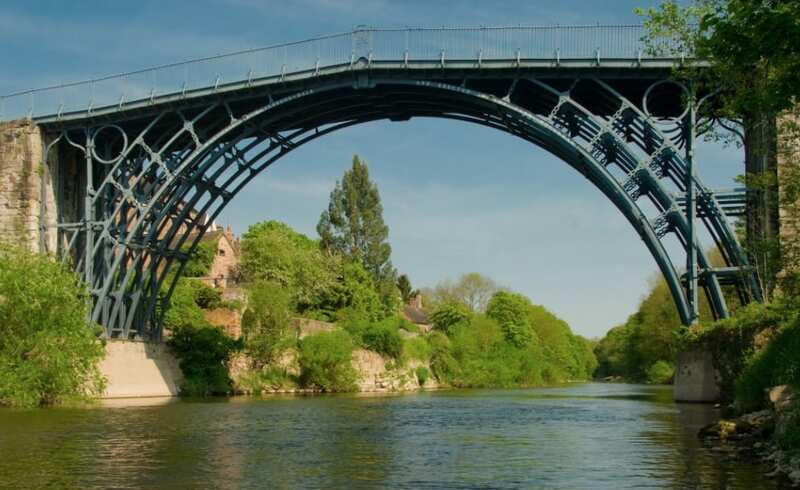 Among the most famous aspects of Ironbridge Gorge, we have the fabled Iron Bridge. The Iron Bridge is actually world famous because of the fact that it was the first bridge in the world to be made completely from iron. It is a hugely important part of the Industrial Revolution and played a big role in the development of this movement. The bridge was built in 1779, and the shift in design drove Victorian-era England into the modern world. This iconic bridge is one of the defining and enduring symbols of an important historical age. 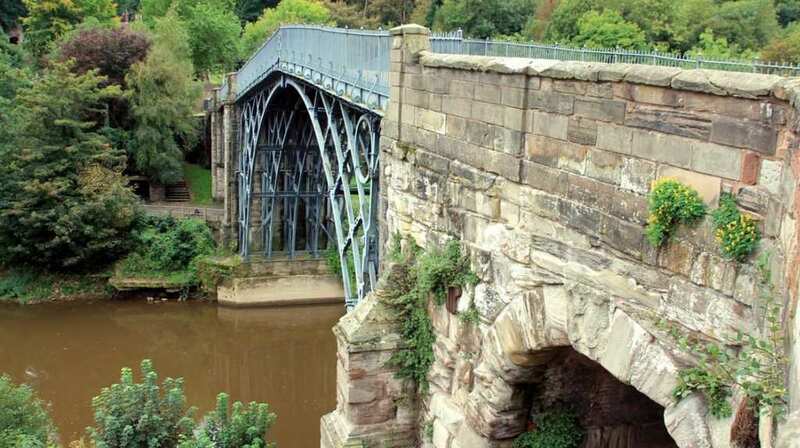 The story goes that the bridge was originally the brainchild of Abraham Darby I, a local industrialist who smelted iron ore with the coal byproduct known as coke. This allowed for the cheaper production of cast iron and helped with the construction of the bridge as we know it today. Architect Thomas Pritchard then proposed constructing the bridge out of cast iron, and so work began on the bridge. There were plenty of excellent reasons to erect the bridge, and one of the key ones was linking the town of Broseley, with the towns of Madeley and Coalbrookdale. This helped the townspeople and merchants to trade and transfer raw materials much faster. The raw materials available in the gorge became much more accessible, plus, it meant that access to the sea was easier when it came to trade. This is the story of one of the most important architectural constructs in the world. The iron bridge here was the first of its kind in the world, and played a massive role in changing the way we design, not to mention the use of cast iron. Without this bridge being made, the UK could have gone in an entirely different industrial direction.